I remember this! Little pictures are in place of some of the words and you have to sound out the words by mixing the pictures and letters together. I enjoyed these puzzlers when I was a kid, and I'm sure modern kids are no different. 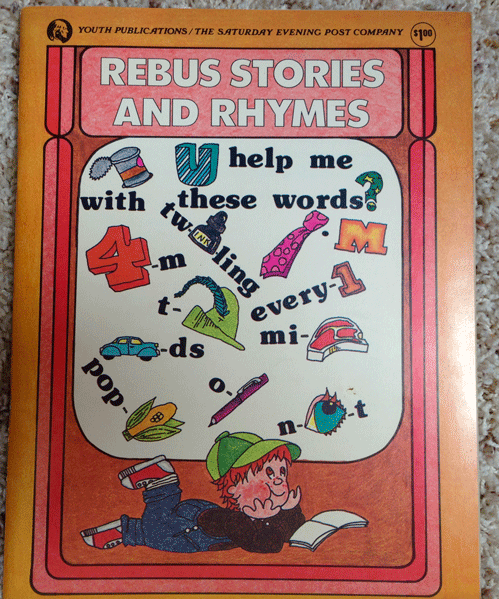 This is a youth publication by The Saturday Evening Post Company, and is a soft cover magazine of Rebus Stories and Rhymes. 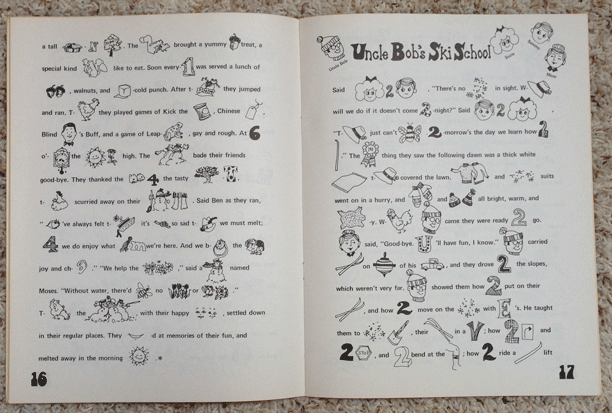 The materials were pulled from Children's Playmate Magazine, Child Life Magazine, and Jack and Jill Magazine. Other than age coloration, this little magazine is in good condition. The magazine is 10.5 x 8 inches and has 34 black and white printed pages. A hardcover Big Golden Book, I believe this was a First Edition. 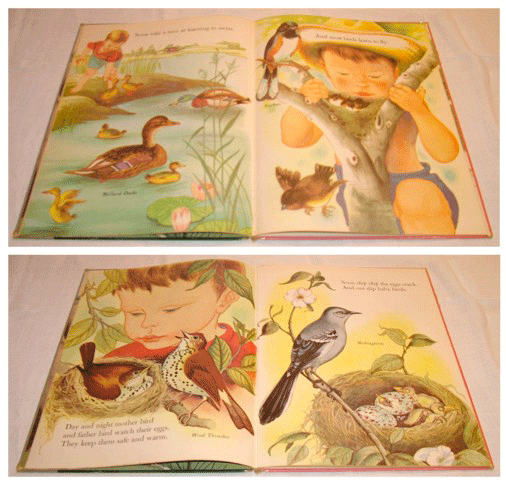 It was published by Golden Press, New York, written by Jane Werner Watson, and illustrated by Eloise Wilkin. The cover is in poor shape, the cellophane overlay is peeling off and the inside cover has tearing along the binding. The cardboard is showing through the cover on all the pointy tips and ends of the spine. The inside front cover has a young girl's name and homeroom number written in pencil. There is a small tear on one of the inside pages on the bottom. Other than age coloration, the pages inside are in good shape. 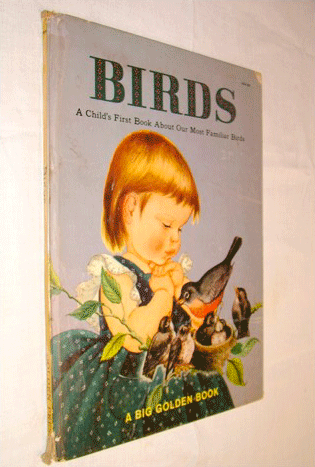 The inside has full-page color illustrations with a story, and all of the birds are labeled with their species name. This book is 12.5 x 9 inches. This book is at leat 50 years old.